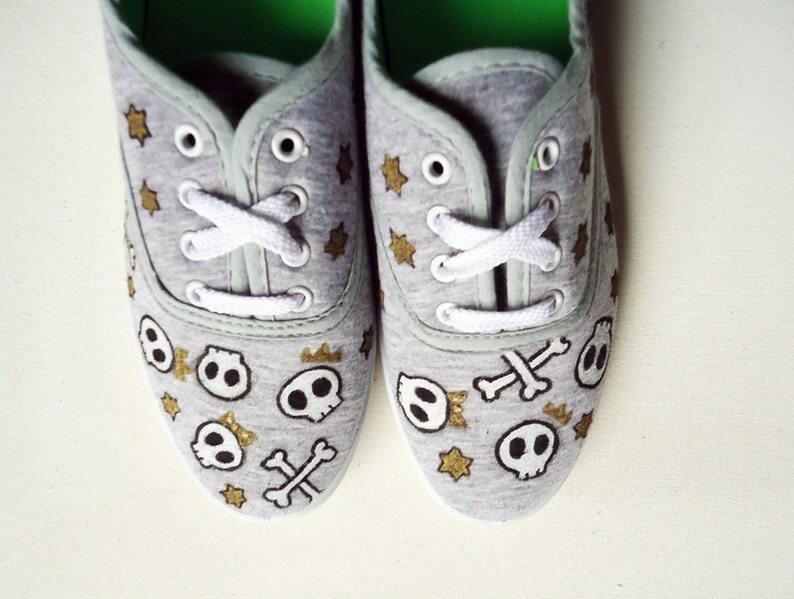 Customize your shoes or sneakers/pumps with this handpainted design. The design is made up of skulls, bones and gold stars. To ensure that your shoes do stay in a good condition, try your best to keep your shoes clean and dirt free and out of extreme weathers. Should the need arise for a spot of cleaning, with a damp cloth wipe down the shoe.